This propaganda spewed out at us is so disheartening. So many people read the information and take it to heart. My first reaction was "Oh, NO! All this time I'm using Coconut oil and its really killing me" what Next"? I'm always mindful of ferreting out the truth about such things but it often takes a great deal of digging. Glad to find yet another valid site that gives us the answers we need. Thanks so much for great reporting. According to my tests, coconut oil also helps prevent flu if you use it right after the 1st. symptoms arise. Flu-pill industry is also billions of dollars per year and the do not actually help. There is no single solution in the market that actually stops you getting the flu! Well there is one now, "for free"
I am surprised to see a source from Wikipedia. COCONUT OIL, PALM KERNEL OIL AND ORGANIC MAMMALIAN BUTTER ARE THE HEALTHIEST OILS IN THE WORLD. Please refer to the article on “Coconut Oil is Unhealthy” in the Daily Dispatch, Volume 43 and No. 021, dated 19th June 2017. The article contains basic scientifically false statements. According to journalistic practice, I reckon it would have been appropriate to have sought another opinion; since the BBC, your source, did mention that “A row has erupted over claims that official guidance to cut down on saturated fat had been based on shaky evidence”. See http://www.bbc.com/news/health-31357438. The statement that ‘saturated fat can raise the level of “bad” (LDL) cholesterol in the blood, which in turn, may clog the arteries’ - is distorted, if not fraudulent, science. The “bad” (LDL) cholesterol does not contain saturated fat, it contains poly unsaturated fat and protein, See low density lipoprotein Wikipedia https://en.wikipedia.org/wiki/Low-density_lipoprot...: - “Each LDL has a highly hydrophobic core consisting of polyunsaturated fatty acid . . . . . . . . .” Hence, how does saturated fat and for that matter coconut oil get involved in the “bad” LDL? I wish to take this opportunity to ask the American Heart Association to produce single evidence based on clinical or pathological study of a human or a mammal to show that saturated fat or coconut oil causes heart disease. However, there are thousands of clinical and pathological studies which indicate that unsaturated oils mediate in almost all the non-communicable diseases including autism, cancers, diabetes, headaches and menstrual pains. The American Food and Drug Administration (USFDA) have produced a long list of significant health concerns relating to the intake of omega-3 poly unsaturated fatty acids. Seehttps://www.fda.gov/ohrms/dockets/dockets/95s0316/.... Further, unsaturated oils are known to contain trans- fatty acids which the WHO has blamed as the source of the non-communicable diseases. 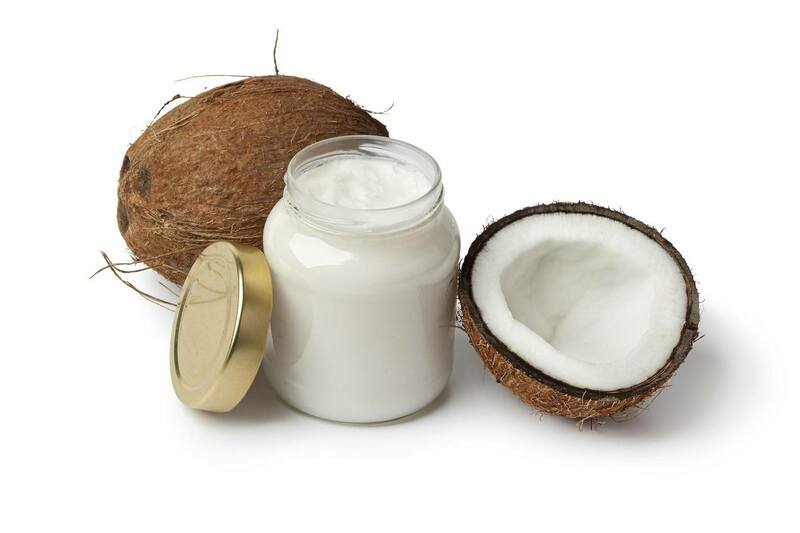 Ingested unsaturated oils produce free radicals in the body; hence medical personnel tend to recommend antioxidants, with little success, to prevent these oils from damaging the cells and tissues.Coconut oil does not contain trans- fatty acids. Coconut oil is one of three edible oils i.e. organic mammalian butter, palm kernel oil and coconut oil, which all our global ancestors treasured as food and as part of medical protocols. The USFDA have approved extracts of these three oils for the treatment or management of many diseases including autism, epilepsy and HIV and as intravenous infusion for pre-mature babies. The link http://www.bbc.com/news/health-31357438 also stated that “in the 1970s and 80s, there was a big push away from saturated fats in the US and UK”. Each of these two countries has her own agenda. The US normal hates to buy food from other countries; hence they create many different trade barriers against food from other countries. The UK, by 1970, had lost almost all their former colonial tropical countries that were encouraged to produce tropical saturated fats; hence the UK bore an umbrage or resentment against them. In the context of the economy of coconut oil producing countries including Ghana and the current well researched and documented health benefits of coconut oil (http://coconutoil.com/big-pharma-and-mainstream-me...), your article is without merit and very damaging. In view of this, the coconut farmers, coconut oil producers and coconut oil consumers deserve an apology. Further, it will be most appropriate that you give the same prominence to this rejoinder as you gave to the above mentioned article, since you failed to seek other views on the issue in question.